Sometimes it's natural for employees to lose their jobs or leave their jobs as a result of poor performance and personal matters. In many cases, these matters are arrived at amicably, meaning that there is no dispute over the nature or terms of the termination or quitting. This is not always the case however. Sometimes there are circumstances in which a fired employee has legal recourse. 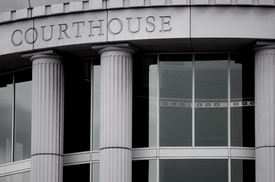 Our law firm handles more cases than just litigation related to personal injury. Lawyers at our firm are also well-versed in matters related to business law and employment law. We'd like to take a look right now at matters related to wrongful termination and how our team can help you if you have been unjustly forced to vacate your job. Wrongful termination refers to cases in which an employer fires an employee or forces an employee to quit for unjust reasons. Most states have an "at will" policy, which means that employment can be ended at any time without consequence by the employer or the employee. This can make some employment law issues hard to prove in some cases. For this reason, it's key that you have legal representation on your side to assist you. Below are some different examples of wrongful termination or factors that may play a part in wrongful termination cases. It is illegal for employers to terminate their employees based on matters of gender, race, religion, age, or physical/mental disabilities. Any evidence of this should be brought to our attention while pursuing litigation. Another key part of employment law is retaliatory termination. This occurs when an employee refuses to perform an action that is not part of his or her job detail. This may be an action that compromises the employee's morals and ethics, for example. In these cases, the termination is often linked to unwanted advances and sexual harassment. Retaliatory termination can also take place when an employee acts as a whistleblower and is then fired because of his or her ethical actions. To act as a whistleblower means to call attention to an employer's illegal or unethical practices. If a employer has made slanderous or libelous statements that caused the termination to occur, this can also play a part in wrongful termination litigation. This refers to instances in which an employer forces an employee to quit by making work conditions difficult or too arduous to endure. Combinations of the above may be part of this notion of constructive discharge. Since the "at will" policies in place in most states make these kinds of cases difficult to litigate, it's imperative that you have strong legal representation on your side. Our team will examine all of your documentation regarding termination and help you receive just compensation for your former employer's unjust actions. If you have been fired for unjust reasons or would like more information on legal matters related to employment practices, be sure to contact our San Diego wrongful termination lawyers today. Our legal team will provide you with answers to all of your questions so that you have peace of mind and solid counsel every step of the way.